Foxtons and Quintain have both recently made an important decision about their technological innovation, the same decision must also be made by every real estate firm in the land: build, buy, or partner? Two stories have popped up in the past few weeks which see traditional real estate firms, one agency and one developer, adopt new tech innovation into their businesses. One of these companies has (supposedly) built its own in-house technology, the other has partnered with a well-established technology provider to rollout new features to all of its customers. In mid-March, Quintain took a 10% share in Movebubble, a PropTech company which enables ‘prospective renters to enquire on properties via an app’ and letting agents to ‘get an instant message and set up a viewing, offer other available properties or answer any other questions’. The second story, emerging last week, tells of Foxtons launching two new tech features, first a ‘Fixflo-style tenancy issues tracker’, and second, the ability for My Foxtons customers to see Zoopla and Rightmove properties before anyone else. The two stories together make me think about the relationship between collaboration and innovation, and how each property firm has to make their own choice as to how they go about creating new, tech-driven offerings to their customers. Each choice has pros and cons, depending on the size and nature of the property firm, its direct requirements, and how time-and-cash-rich they are. The first option is to buy or subscribe to an existing software solution from an established provider. Put simply, you become a customer of the software company. The major benefit of this is the speed and ease of rolling out the new technology feature to your staff and/or customers. Buying a tech solution is best for small firms who cannot afford to build their own, and don’t have the scale or capacity to enter a strategic partnership. Alternatively, this is also a good option for businesses who want to test innovations quickly and cost effectively, perhaps before they do some more serious thinking on taking a deeper dive. This is most simply process of the three and by far and away the most common. The downsides are: you have little control over the offering, handcuffed instead to the provider. Not only does this mean that product of service itself is non-bespoke to your needs, but your success is suddenly very much in the hands of a third-party. If, for example, the tech company goes under while you are using their tools, you may suddenly and unceremoniously lose access to a tool of great value. The second option is the most extreme, but also has the possibility of providing far greater payoffs than the other two options. Building your own technology solution requires a lot of time, money, and expertise. To build something that matches or exceeds the other platforms already on the market, those costs and outgoings increase further still. It’s about scale, really. If a property firm is huge, nationwide, even worldwide, it might be wise to invest in building bespoke technology. Not only will it be rolled out across a huge user base and therefore likely bring ROI before too long, if executed well, it will also give you an enormous edge over competitors because you’re the only one with it. The first risk is that you won’t be able to do it better than anyone else and therefore spend a fortune building something which everyone else can have for a fraction of the price anyway. Building is great if you’ve got a unique idea or take on the concept. To that end, if the solution you require doesn’t exist, it’s time to build yourself. Other risk is that of time and money, both of which are left hugely vulnerable throughout Research & Development (R&D) without any guarantee that the final result will be a success. You also have to understand whether you actually have the skillsets to do such a thing. ‘Intrapreneurs’, a rare breed of entrepreneurial thinkers in corporate businesses, are not easy to find and they may not be able work in the framework given to them. Entering a partnership is the best of both worlds - you benefit from the experience, expertise, and progress of a specialist software provider, while also commanding some creative control over the service or product created. Unlike building your own solution, partnering with a tech company requires much less time and money to be dedicated to R&D (but not as little as when buying a product or service). This means risk is also much lower than building in-house. To form a partnership, there needs to be potential upsides for both parties involved. Technology companies will most likely be looking for financial support or faster avenues to expansion from the partnership. For example, a real estate firm with 40 high street branches across the UK is going to enable a great rollout for the tech company. It’s a tough decision and not one that anyone should rush into answering. Instead I think it’s about completing an audit or your company, your position, and your objectives. Whether we build, buy, or partner, we simply have to innovate. The biggest risk, in times like these, is resting on your laurels and doing nothing. 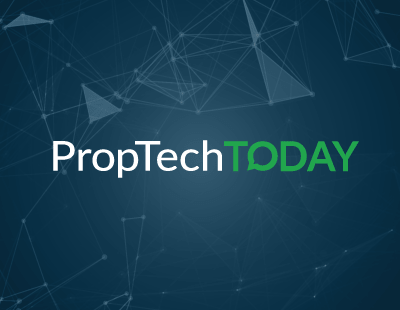 **The PropTech Today column is usually published every Wednesday but is this week being published on Thursday due to a technical issue.